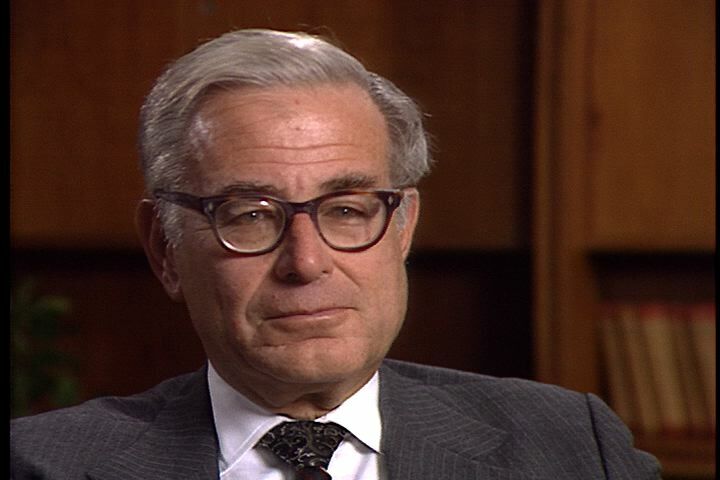 Harold Brown is an American scientist who served as Director of Defense Research and Engineering from 1961-1965 and the Secretary of Defense from 1977-1981. In the interview he discusses ICBM modernization, especially the MX debate. He explains the multiple protective shelters (MPS) system, which he supported, and which was approved by President Carter. He reacts to criticism of the MPS system, and describes its failure under the Reagan Administration. He explains the role the MX was designed to play in the strategic triad, and reviews proposed alternatives to the MPS system in light of that role. Chicago: “War and Peace in the Nuclear Age; Carter's New World; Interview with Harold Brown, 1987 ,” 11/30/1987, WGBH Media Library & Archives, accessed April 26, 2019, http://openvault.wgbh.org/catalog/V_A8FBF95F962D48D992051B6F1F07B09F. MLA: “War and Peace in the Nuclear Age; Carter's New World; Interview with Harold Brown, 1987 .” 11/30/1987. WGBH Media Library & Archives. Web. April 26, 2019. <http://openvault.wgbh.org/catalog/V_A8FBF95F962D48D992051B6F1F07B09F>.